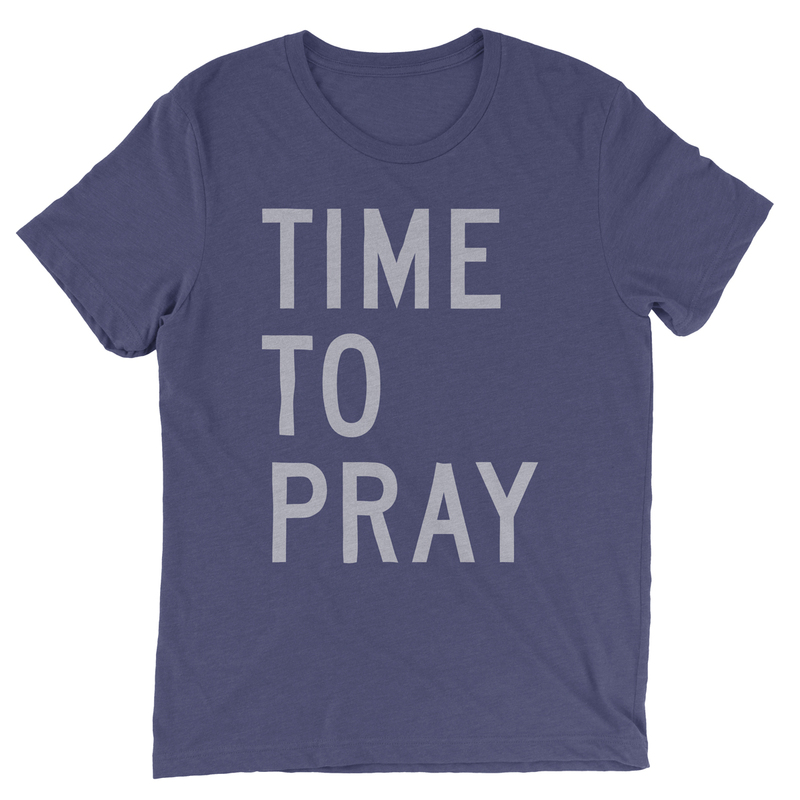 Remind yourself of the beauty of prayer and demonstrate your commitment to God with this exclusive 'Time to Pray' unisex t-shirt in blue. Celebrate Kirk Cameron's Revive Us DVD release with this short-sleeved tee available in a variety of sizes. Click here to bundle the Time To Pray T-Shirt with the Revive Us DVD! Love this shirt, message is wonderful, The material is so soft. It does run a tad small though. I bought one size up so I am ok. Awesome t-shirt! Looks good and feels good! And it is a way to remind others to take "time to pray"! Who doesn't need to be reminded!